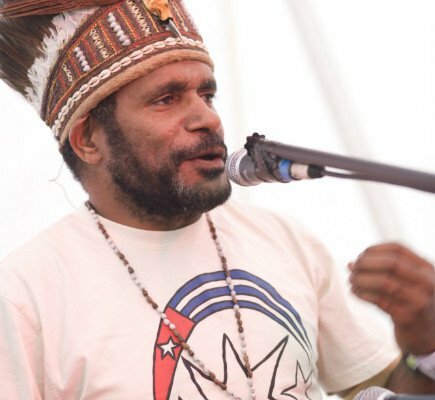 West Papuan musician and spokesperson for the United Liberation Movement for West Papua (ULMWP), Benny Wenda has joined forces with former members of the Reggae King, Lucky Dube’s band to record a song for his people in West Papua. The legendary reggae musician, Lucky Dube is revered throughout West Papua and his songs are heard everywhere. From loud speakers at pro independence demonstrations and marches on the streets of the capital, Jayapura, in every town across the land, from the cellphones of independence fighters in the mountains, to tape players in villages from the highlands to the islands. In a studio in Johannesburg, South Africa, a powerful freedom song was recorded and history was made. 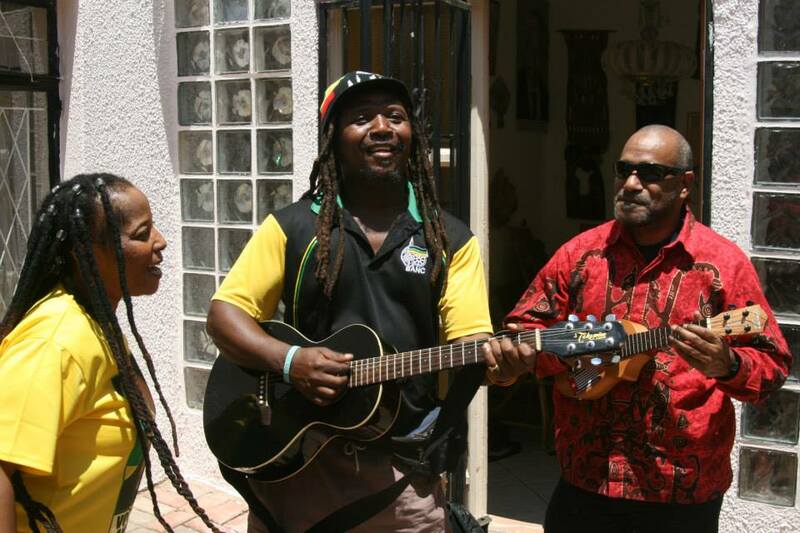 “Free West Papua” was written & produced by Thuthukani Cele, now of The One People Band, with Sister Phumi Maduna on vocals. The song holds a powerful message from Benny Wenda, echoing the leaders of South Africa, for the people of West Papua. 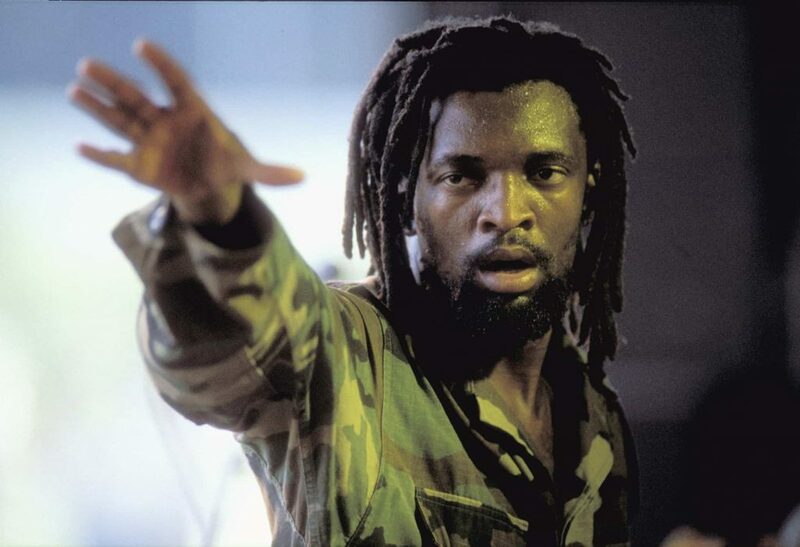 “We always demonstrate with Lucky Dube’s song playing because the song makes everyone strong for the fight, with more energy, with the spirit of Dube, because his songs are about protesting, for everyone to live happily with no discrimination. Some people don’t even understand English but the spirit of Lucky Dube connects with the people of West Papua. They know the history of South Africa, so the spirit connects with them”. Pro-independence marches in West Papua are often led by a car with big speakers on it, playing Lucky Dube’s song, ‘Prisoner’ for the demonstrators. Back in 2007, on the day of Lucky Dube’s funeral, people marched on the streets of Jayapura in West Papua. It was a national day of mourning. The West Papuan independence movement had lost a hero. Dube’s lyrics about fighting apartheid in South Africa resonate with independence activists in West Papua & those living in exile. “West Papua is very similar to how South Africa was, it is a mini apartheid” says Benny Wenda. Lucky Dube’s spirit is still alive and strong in West Papua. “Music has the power, it is a serious tool, fight down inequality, fight down racism… to communicate, to send a message globally” says Thuthukani Cele. Benny Wenda echoes her sentiments. For him this song is part of history in the making. “For me it is very important. The song can contribute a big part to the struggle itself. The people of West Papua know that their destiny is in their hands. We won’t stop struggling till we have freedom, justice, democracy & independence”.